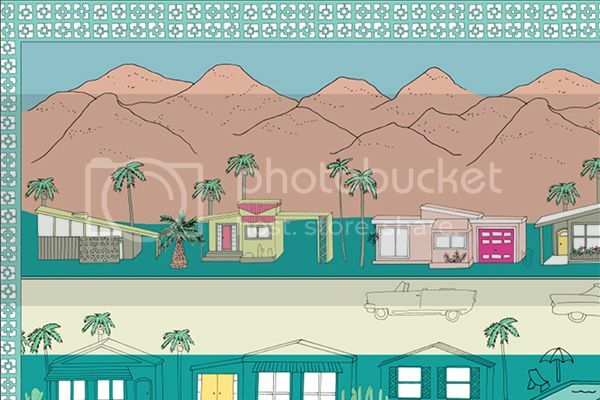 Just a little look into the colouring process of my Palm Springs illustration. It's been a fun one to work on, with more solid chunks of colour. It's been a nice change after the tiny details of the Paris illustration I completed previously, and also feels in keeping with the Palm Springs aesthetic, with lots of clean lines and big washes of colour. Hopefully I will have this one done in just a few more days!